Margaret (Meg) Rosequist is a member of Meyers Nave’s First Amendment Practice Group and Trial and Litigation Practice Group. 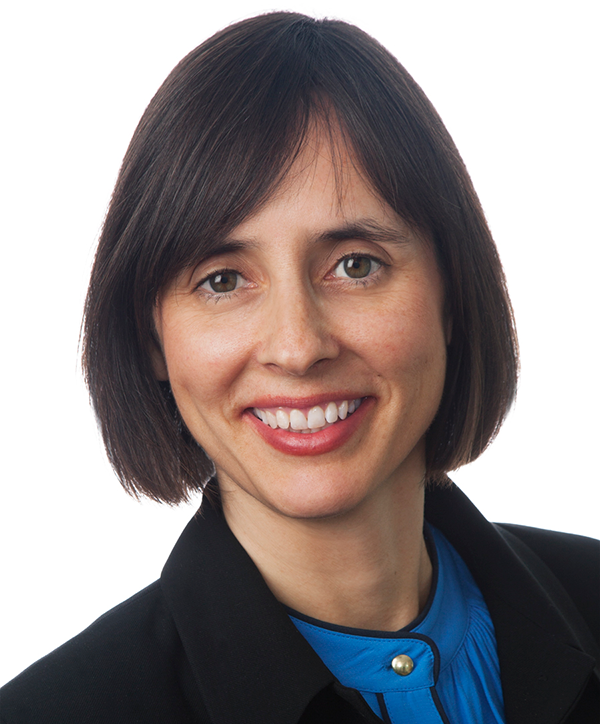 Her practice focuses on both litigation and advisory work with an emphasis on complex constitutional law issues, as well as matters involving the California Public Records Act (CPRA) and Brown Act. Meg also has extensive experience drafting regulations in the First Amendment arena, such as sign ordinances, solicitation and panhandling restrictions, newsrack regulations, park and parade regulations and billboard ordinances. Meg handles a broad range of First Amendment litigation matters and she recently authored the amicus brief on behalf of the League of California Cities, California State Association of Counties and American Planning Association California Chapter in the pivotal case Lamar Central Outdoor, L.L.C. v. City of Los Angeles. The case involved the constitutionality of billboard regulations and in a major victory for municipalities throughout the state, the Second Appellate District upheld the ability of California cities and counties to continue using the onsite/offsite and commercial/noncommercial distinctions as a regulatory tool in their sign codes. In addition to litigation matters, Meg provides guidance to clients on updating and drafting regulations to meet the complex and nuanced requirements under First Amendment jurisprudence and to be well positioned against possible future litigation challenges to those regulations. Her advisory work includes a wide variety of regulations that impact activity such as loitering, solicitation, panhandling, vending, picketing, leafleting, signs, parades and other special events. In consideration of new rulings in the First Amendment arena, Meg recently drafted ordinances for the regulation of activity on roadway medians and a Hall of Records Campus, the latter of which was also successfully defended in court against a preliminary injunction request. Meg is a frequent presenter on First Amendment issues and has published articles and presented at numerous conferences hosted by the International Municipal Lawyers Association, League of California Cities, and County Counsels’ Association of California, among others. Meg also recently wrote an article for the League of California Cities’ Western City magazine that analyzes the Supreme Court’s decision in Reed v. Town of Gilbert. Meg regularly assists municipal clients in addressing the challenges of updating their sign codes and solicitation regulations to comply with the standards set forth in Reed. Lamar Central Outdoor, LLC v. City of Los Angeles. Authored amicus brief on behalf of the League of California Cities, California State Association of Counties and American Planning Association California Chapter in a case involving constitutionality of billboard regulations. In a major victory for municipalities throughout the state, the Second Appellate District overruled the lower court thus preserving the ability of California cities and counties to continue using the onsite/offsite and commercial/noncommercial distinctions as a regulatory tool in their sign codes. Zuvich v. City of Los Angeles. Successfully defended the City against a group of five plaintiffs who wanted to vend items on the Venice Boardwalk and also claimed that their artistic expression was unconstitutionally restricted. The plaintiffs raised numerous constitutional challenges to the City’s boardwalk ordinance and sought millions of dollars in damages. Meyers Nave prevailed on summary judgment and the Ninth Circuit affirmed in full. California New Business Bureau, Inc. v. County of San Bernardino. Court denied a motion for preliminary injunction regarding the County’s ordinance banning commercial activity at or near its Hall of Records, which confirmed the constitutionality of the ordinance. Davidson I and II v. City of Culver City. Defense of the City in First Amendment litigation asserting a variety of constitutional challenges to the City’s regulations of signs, pennants and banners in the public right-of-way. Obtained a motion to dismiss and the Ninth Circuit affirmed in full validating the City’s ban on all signs attached to fixtures in, on, or over the public right-of-way. In addition, in an unusual ruling, the Ninth Circuit affirmed the trial court’s award of over $90,000 in attorneys’ fees to the City for a frivolous case. Dowd v. City of Los Angeles. Meyers Nave represented the City in a case brought by 13 plaintiffs who challenged the City’s ordinance that regulates activity at the Venice Boardwalk. Two of the plaintiffs also asserted claims that the City violated their First Amendment rights in its enforcement of the Rules of Decorum at City Council meetings. The U.S. District Court issued a ruling on cross motions for summary judgment in June 2013, upholding all of the challenged provisions of the Boardwalk regulation with the exception of the ban on amplified sound in certain sections of the west side of the Boardwalk. The court also upheld the City’s Rules of Decorum against plaintiffs’ facial challenge, but found a few instances in which the City Council had enforced the Rules against the two plaintiffs without sufficient disruption of the meeting to make the enforcement justified. Hunt v. City of Los Angeles. This Venice Boardwalk case was on remand from a published decision with a potential for a second trial on a challenge to a Boardwalk regulation that had not been addressed in the first trial. Meyers Nave successfully argued that the plaintiff had waived his claims under the challenged regulation by not taking action to raise them in the first trial, resulting in a dismissal of all remanded claims that was upheld by the Ninth Circuit on appeal. Regency Outdoor Advertising v. Community Redevelopment Agency of the City of Los Angeles. Defense of the Agency and individually named defendants in federal court against claims of inverse condemnation, equal protection, First Amendment violations and damages in connection with billboard applications in various redevelopment project areas. Paramount v. City of Los Angeles al. Defense of the Agency in federal First Amendment litigation challenging the Agency’s and City’s billboard regulations. Obtained a ruling dismissing the Agency from the case with prejudice on demurrer. Decision upheld on appeal to the Ninth Circuit. In Plain Sight Media v Community Redevelopment Agency of the City of Los Angeles. Federal court action involving as applied challenge and constitutional challenge to Agency’s ordinance regulating signs in the Hollywood Redevelopment Area. Animal Legal Defense Fund v. City of Livingston. Successfully advised the City in a California Public Records Act (CPRA) dispute to effectively and efficiently resolve the case. City of El Cerrito and other firm clients. Legal advice regarding responding to CPRA requests. City of Newark. Legal advice and analysis regarding funding of Dia De Los Muertos Festival and compliance with First Amendment Establishment Clause jurisprudence. City of South San Francisco. Legal advice regarding display of menorah at City Hall. City of Moreno Valley. Legal advice and analysis of risk regarding donating discretionary funds to church event at public park under the California Constitution No Aid Clause and the Establishments Clauses of California and United States Constitutions. Town of Windsor. Draft ordinance and findings for regulation of medians in compliance with First Amendment jurisprudence. County of San Bernardino. Draft ordinance and findings for regulation of commercial activity on Hall of Records Campus in compliance with First Amendment jurisprudence. City of Culver City. Legal advice and revisions to sign ordinance and Free Speech Policy Guidelines. Advise on billboard restrictions and permissibility of revenue sharing. Cities of Dublin, Palmdale, Modesto, and other firm clients: Legal advice regarding revisions to sign codes in the wake of Supreme Court ruling in Reed v. Town of Gilbert. City of Fort Bragg. Legal advice and analysis of legal risk regarding city signage program. Cities of Riverside, Fresno and other firm clients. Provide legal advice on regulations of parks, permissibility of special permit, parade permits and sign ordinances, for compliance with First Amendment. San Diego County Regional Airport Authority. Legal Advice regarding airport advertising regulations and compliance with First Amendment jurisprudence. Port of San Diego. Draft newsrack provisions and legal analysis of potential viable time, place and manner restrictions on newsracks in compliance with First Amendment jurisprudence. City of Walnut Creek/SB 1421. Represented the City of Walnut Creek in one of the first cases involving the question of whether SB 1421, which became effective Jan. 1, 2019, applies to peace officer personnel records created prior to that date or only to such records created after that date. The City of Walnut Creek received PRA requests from the ACLU and a media coalition that included a request for records created prior to Jan. 1, 2019. The City determined that it should produce the records but the Police Officers Association filed suit to prevent the release of pre-Jan. 1, 2019 records. The trial court’s ruling and the appellate court’s ruling on a writ of supersedeas found that records created prior to Jan. 1, 2019 are subject to disclosure under the PRA. Meyers Nave positioned the City to avoid potential attorneys’ fees relating to the underlying PRA action through a litigation strategy in which the City’s legal position was that it had decided to produce the records but was stayed from doing so by the courts. Once the trial court and appellate court stays were lifted, the City began producing records. City of Los Angeles. Successfully defended the Los Angeles Memorial Coliseum and its Commission in high-profile litigation alleging Brown Act and California Public Records Act violations related to the Commission’s negotiations with the University of Southern California over a long-term lease for the Coliseum. The Los Angeles Times and the nonprofit Californians Aware brought action against the Coliseum shortly after the Commission approved a $70 million+ contract with USC for future management of the Coliseum. The petitioners alleged the Commission violated open meeting laws during negotiations with USC and failed to provide all documents responsive to hundreds of CPRA requests submitted by the Times relating to all aspects of Coliseum operations and finances. The petitioners’ writ of mandate action sought invalidation of the lease and the release of reams of Coliseum records and a declaration that our client had violated the Brown Act on numerous occasions.